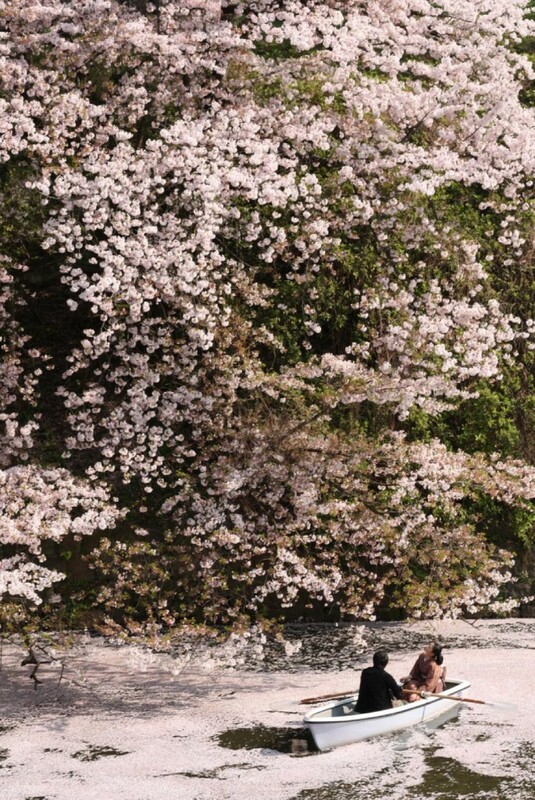 By now almost all the cherry blossoms are gone in most parts of Japan. The last of the petals are falling here in Tokyo, although places further north in Sendai and Hokkaido are still patiently awaiting their blossoms to bloom. This is my favorite time of year in Japan, when the last of the cherry blossom petals fall from the trees. I must not be the only one who likes this time of year because there is actually a term for this action, which is hanafubuki (花吹雪). Hanafubuki is quite literally “flower (hana) snow storm” (fubuki). Why is it called a flower snow storm you ask? 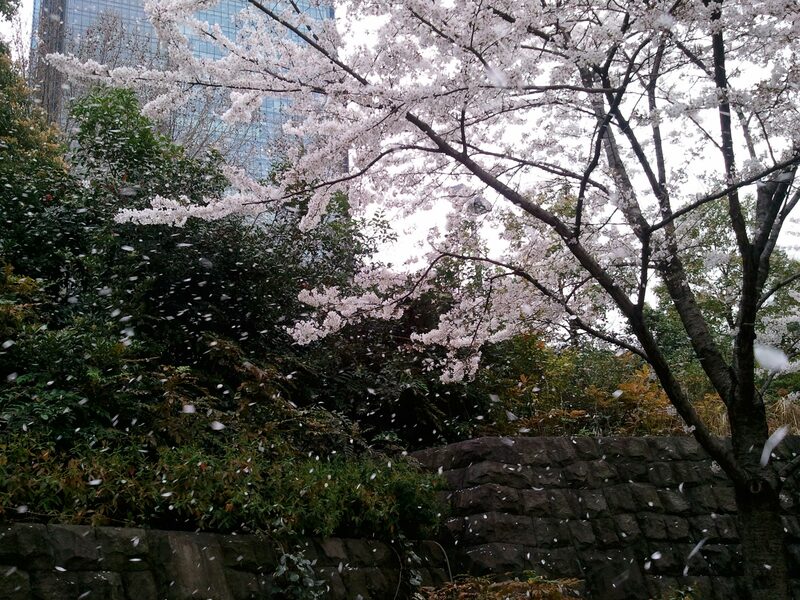 Because as the petals fall it really looks as though it’s snowing. It’s actually quite hard to describe or even show its beauty through photos, it’s really something you need to just experience for yourself. To me hanafubuki is the one of the best parts of spring! 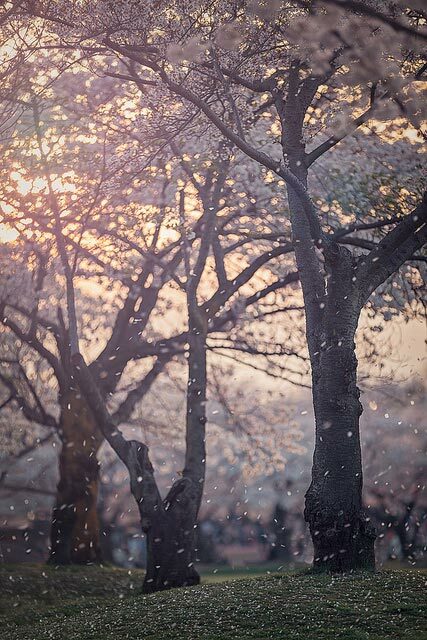 When you stand under a few cherry blossom trees as the petals are falling all around you, you begin to feel as though you’re in a pink wonderland or a pink cloud. 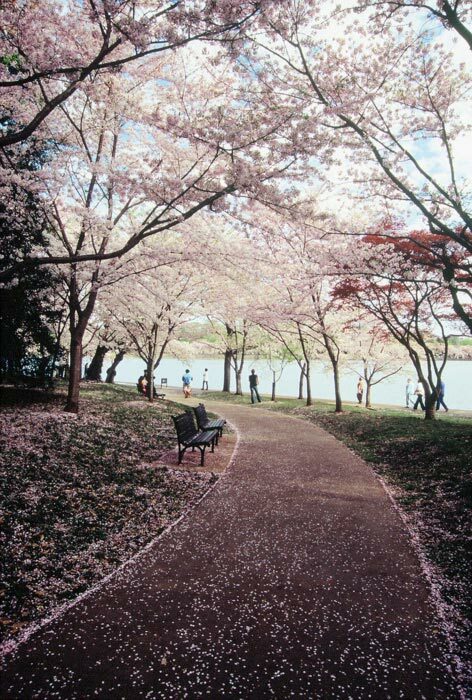 It is also considered a nice time to have one last hanami for the season. It’s so relaxing and enjoyable to lie under the trees with you friends as the petals slowly rain down on you. You can easily just lay there watching the petals flit around until they finally make it to the ground. It can be tricky to catch this time for a hanami, and you’ll be extremely lucky if you do. The best time is when the trees are still full of pink fluffy petals on the trees, but some have just started snowing down already! It is also important that there is just a little windy, to help the blossoms fall. If there is no wind, hardly any petals will fall, and if there is too much, the trees might become empty too quickly. As you sit under the falling petals, all of your belongings and hair will be full of cute petals by the end. If you can catch a single petal in your hand or it happens to fall in your cup of tea, it’s actually seen as a sign of good fortune. With more and more petals falling, there is actually only a very short time frame when you can enjoy hanafubuki, and even a shorter time when you can get good photos. It only takes a little extra wind or rain to knock all the blossoms off at once, and then everything is over, so you need to act quickly. If it seems like a good day to go, don’t put it off until the morning or else it might be gone! As the ground becomes covered in a sea of pink petals, everything looks cute and fragile. Japan really becomes a pink paradise just for one day. So if you’ve always wanted to visit Japan during cherry blossom season, be sure to stay for the whole duration to catch the magic of hanafubuki at the end! It’s a Japanese experience you won’t want to miss.